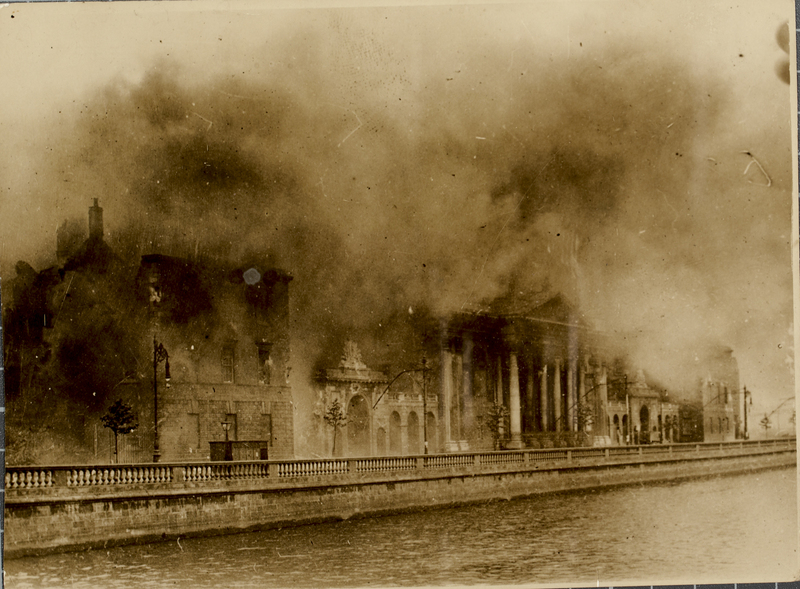 Often when Irish genealogy is being discussed the topic of the Public Record Office fire of June 1922 will come up. At the beginning of the Irish Civil War in 1922, members of the Anti-Treaty IRA took control of the Four Courts and adjacent Public Records Office. In the course of trying to remove them from the building, the newly established Irish Free State army opened fire with mortars. 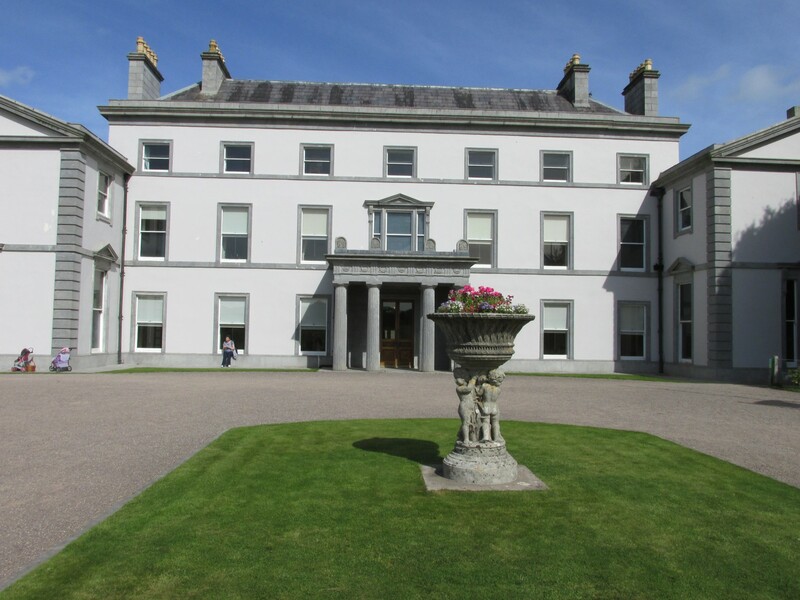 There is some disagreement on what caused the Public Record Office fire, and whether the Anti-Treaty forces intended all along to destroy the records, but it inevitably led to the loss of nearly 1000 years of records concerning Irish history. For those unfamiliar with the events of this period Claire Santry provides an excellent overview of what exactly was lost. The losses include the majority of pre-1901 census records, with only fragments from these 19th century census surviving. This is of course a tragic event in Irish history and often of great frustration to anyone looking to trace their ancestors back further than the mid-1800s. It could be be argued though that this has led Irish genealogists to be more determined in tracking down other surviving records. In recent years the process of scanning records and turning them into digital images has allowed for much greater access. This led the Irish government to set up the website www.Irishgenealogy.ie. Visitors to the website can explore a number of very useful rescources, including transcriptions of some church records and also the Index to Historic Civil Records. Civil registration was relatively late in being introduced to Ireland. Although officially beginning in 1845, the Catholic Church refused to participate until 1864. This means a large portion of the Irish population was not registered for the two decades prior to 1864. Regardless of this the Civil Records are hugely important but the addition of the Indexes came with a slight hiccup. Originally added in July 2014, they were soon taken down because of concerns raised by the Data Protection Commissioner. Fortunately a compormise was reached and they were uploaded again recently. Under the new agreement the Indexes to Birth Records over 100 years, Marriage Records over 75 years and Death Records over 50 years are searchable. Before diving into the Indexes it is important to remember that they are only indexes. As such the information they contain is meant to act as a guide to the more detailed records. For example when searching a birth record, the index will tell you the name of the individual, their date of birth, registration district and the group registration ID. Once you have this information an application must be made to the General Register Office in Dublin for the full certificate. The research office, which handles genealogical enquiries, is currently located at Werburgh Street. The cost of printing a certificate is €4 provided you have the information from the indexes. If you need to conduct a specific search covering a maximum of 5 years the fee is €2. A general search covering any number of years is €20 per day. It is also possible to apply for a certificate online. Of course there are also other websites such as www.familysearch.org (free website run by the Church of the Latter Day Saints) and www.findmypast.ie (paid subscription website) which also contain copies of the indexes. These can be useful for crossreferencing Index entries. Just because information has been digitised doesn’t always mean it’s correct. Unintentional errors can still creep in so it is advisable to double check any records you come across before purchasing a certificate. Posted on May 25, 2015 by daithi82. This entry was posted in Genealogy, History and tagged Ancestry, Civil Registration, Genealogy. Bookmark the permalink.